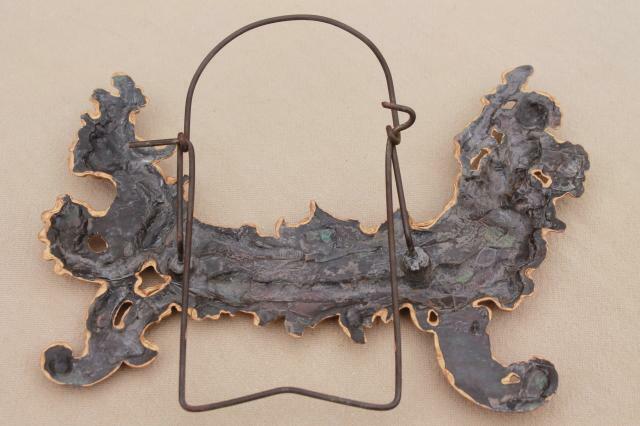 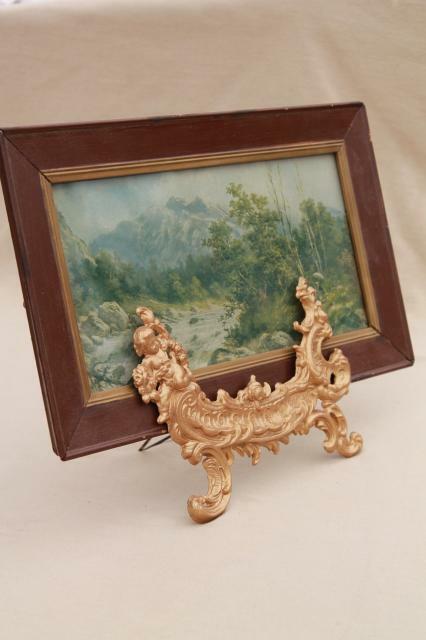 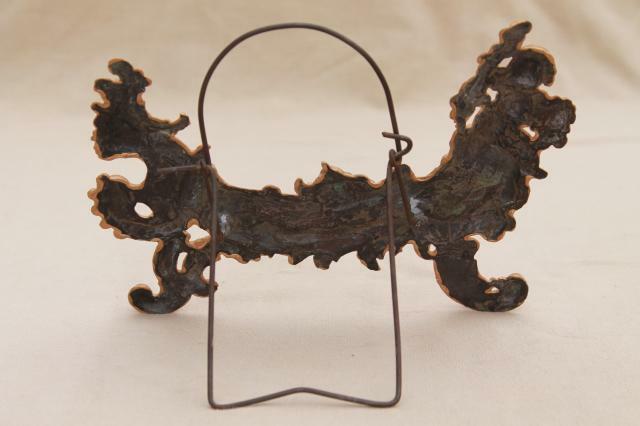 Beautiful old cast metal picture stand - picture not included - to hold a favorite frame, a mirror, possibly even a china plate or platter. 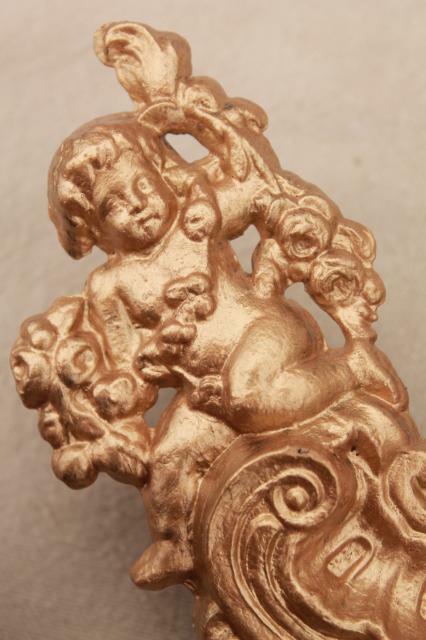 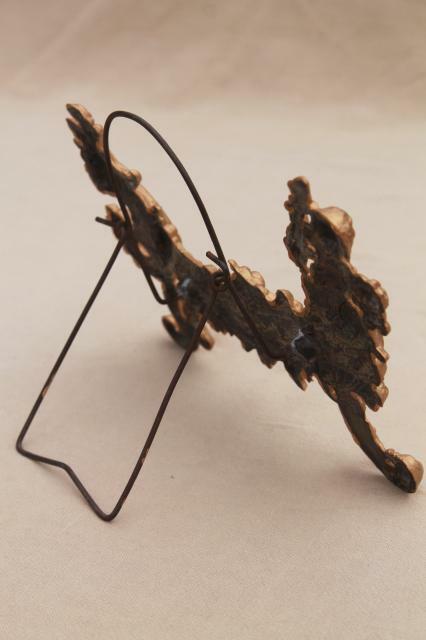 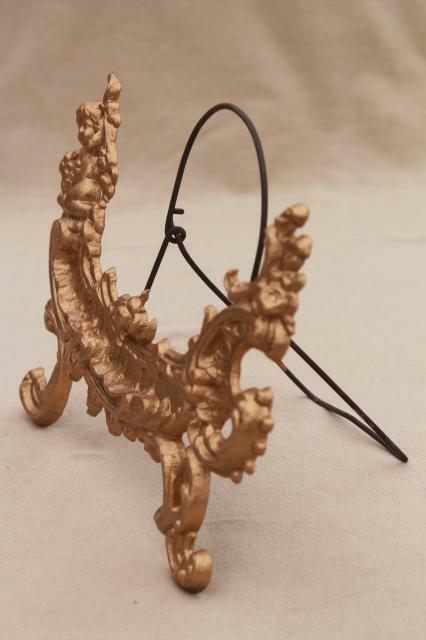 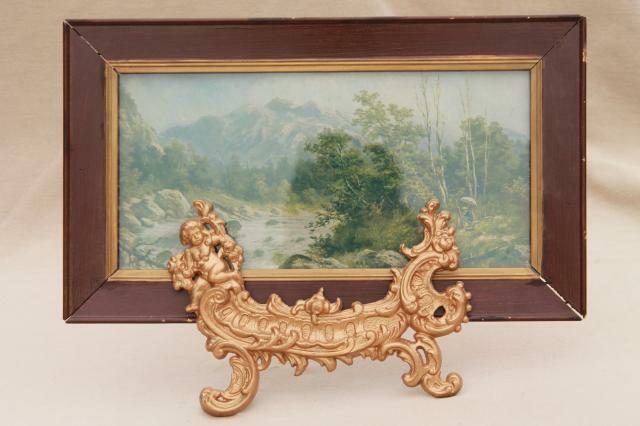 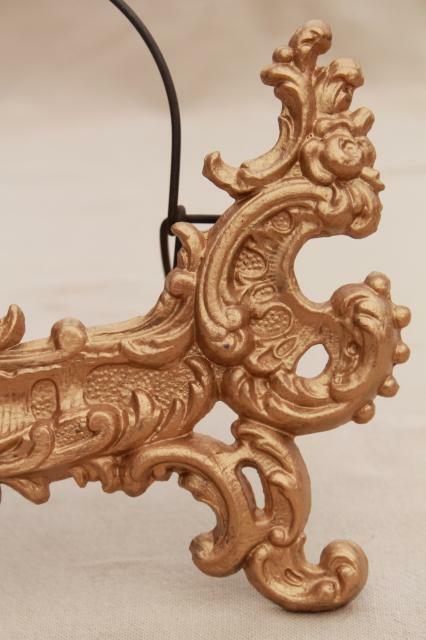 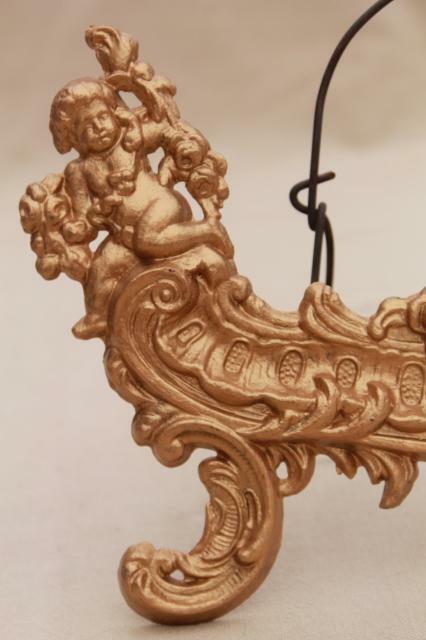 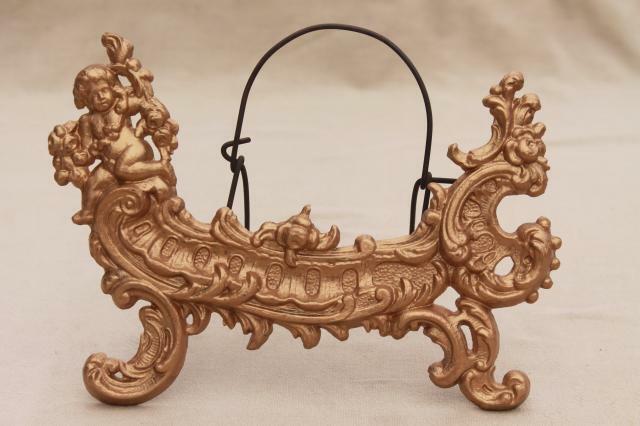 This is very ornate, french country style, with cherub angels with gold finish. 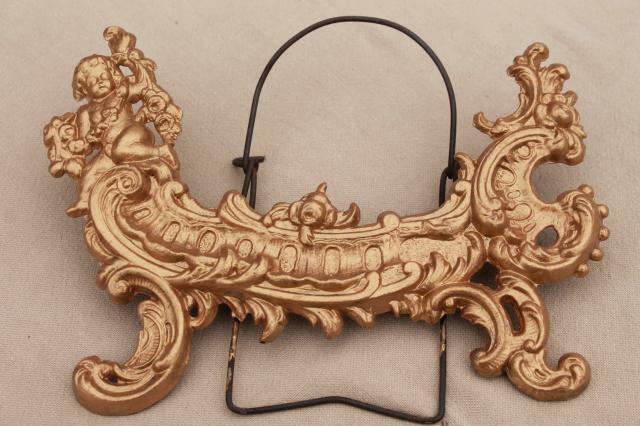 Measures about 8 1/2" wide.